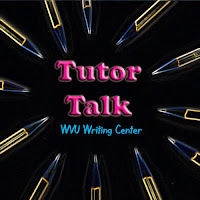 Tutor Talk: Episode# 3 - Making the Most of the Writing Center is now available for FREE download on the iTunes U store. Click here to launch iTunes. If you don't have iTunes visit the official WVU Writing Center website to stream all 4 podcasts from your web browser. Episode# 4 is also available. In this episode, Emma creates a screen cast to show the audience the most appropriate ways to write a professional e-mail. From the salutation, to adding an attachment, she includes everything that you need to know. Stay tuned to Tutor Talk, as there will be plenty more video podcasts on the way! We recommend downloading Tutor Talk through iTunes via this link. iTunes is a free download to all users both Mac and PC. If you don't have iTunes, stream any of the podcasts from your browser by clicking HERE.